Ripstop I - Fine Edge. 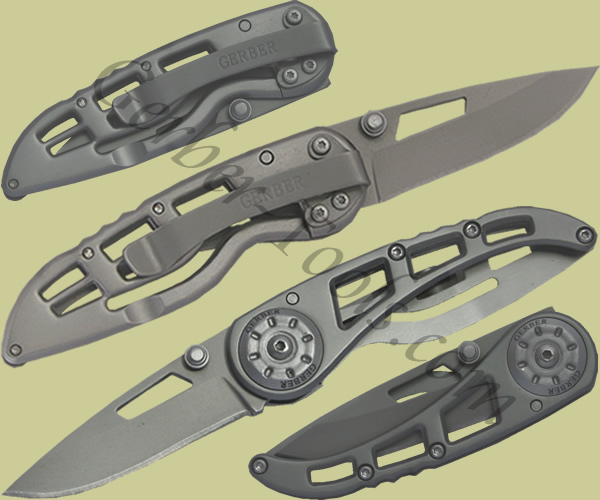 The Gerber Ripstop I model 22-41614 is, simply put, one cool-looking knife. 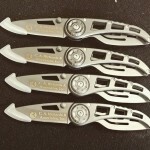 The minimalist style design of the fine edge blade and handle makes it lightweight while the all stainless steel construction makes it strong. Complete with easy open dual thumb studs and a pocket clip, the Ripstop I is perfect for those who want great performance without feeling it weighing heavily in their pocket or pocketbook.